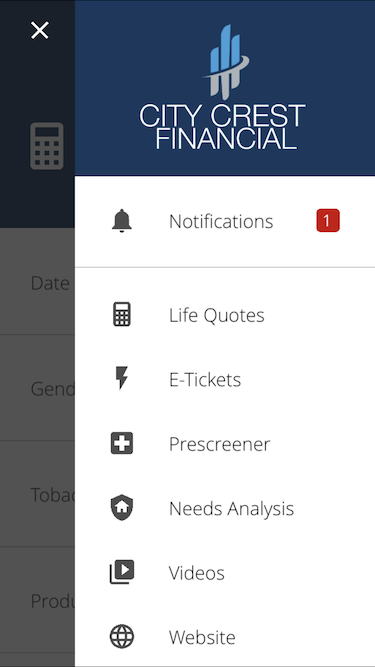 Notifications can be viewed in the Mobile App as well as the Dashboard. Every member of your agency, has access to the IXN Dashboard, and any agencies that they are a part of. When logged in with their account, any new notifications that they have received will appear in the upper right-hand corner. 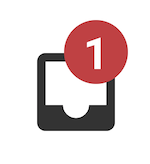 When they click on the "Inbox" they will see a dropdown of any notifications they haven't viewed, from which they can open the message. If your agency has a mobile app that an agent is logged into, they will be notified in 2 different ways. 1. If they are not currently using the app, they will receive a push notification, if they have allowed them on their device. If they tap on it, they should be taken directly to the notification screen. 2. If they are in the app, a red dot will appear on the menu icon, similar to the Dashboard. If they open their menu, they will also see the number of notifications, and can navigate to the notification list from there.